Search Optimization is the process of making your brand, product or service more visible to the world by showing at the top of online search engine results. Google provides information quickly so businesses must stay on top of their game to keep up. You may already have an amazing website design, layout and content. But do you know where you show in Google search results? Try searching a generic question that might lead to your website. Is your company on the first page of the search results? People only browse the first one to three pages of most search engine results since they usually find exactly what they are looking for on those first few pages. Most search engines, specifically Google, change their algorithms periodically to ensure that they give reliable results and to ward off spam. 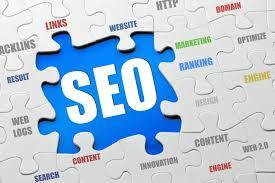 Top Marketing Agency offers expert search engine optimization and internet marketing. Take an important step to improving your visibility in search engine results. Our Search Optimization services allow you to reap the benefits of being more visible to the online world. Call us today at 888-843-9840. We look forward to working with you.